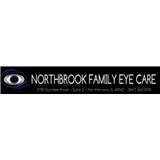 Northbrook Family Eye Care (Northbrook) - Book Appointment Online! Northbrook Family Eye Care features everything needed to care for your eyes, including complete vision screenings, contact fittings, designer glasses & more! Your satisfaction is extremely important to us, and we will do whatever possible to ensure that you are happy with your examination and any purchases.